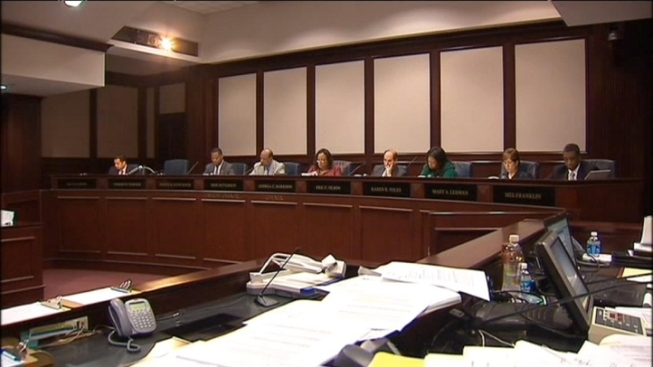 The Prince George’s County Council is considering holding building owners and property managers accountable for prostitution and human trafficking. Police and county council members are concerned about the growing illegal activity they can’t see behind closed doors. Human trafficking cases are on the rise in Prince George’s County, and in communities like Langley Park, immigrant women are often the targets, leading to prostitution and illegal servitude. “Women are fooled into thinking they're going into a legitimate job and they get exploited, abused and forced into prostitution,” Prince George’s County Councilmember Will Campos said. While the crimes may be hard for police to know about, the Prince George’s County Council thinks some landlords and property owners know when something is wrong. Tuesday the council introduced a bill holding building owners accountable. “It extends the police officer’s ability to patrol by using the eyes and ears of property managers where the illegal activity is happening,” Councilmember Mel Franklin said. The bill would expand nuisance laws to include prostitution, human trafficking and activities involving criminal gangs. It’s an amendment to legislation passed in 1993 that held property owners and managers accountable for drug sales in their buildings. If a manager or owner is found negligent, he or she could face hearings resulting in them losing their property.